Bed bugs don't only infest your mattress and bedding, they also hide inside your box spring. 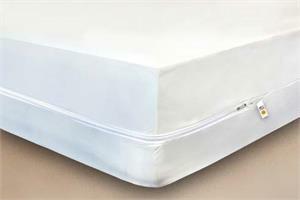 Protect yourself from bed bugs and dust mites with our box spring protectors. NOTE: Most King size mattresses require two Twin Plus box spring covers. The KleenCover® Ultimate mattress cover is soft to the touch, offering a cotton-like feel. 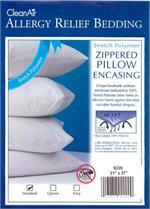 Impenetrable by bed bugs, dust mites, and allergens. It has been a nightmare trying to find a cover at a reasonable price. This worked great and I received it the next day. Thank you for the quick delivery and a great item. Exactly what I was looking for. This is a good quality product, especially considering the free shipping and price. Would highly recommend.